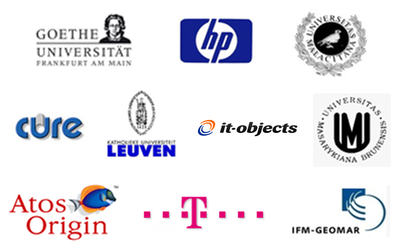 The PICOS consortium consists of 11 partners from 7 different european countries (Austria, Belgium, Czech Republic, England, France, Germany, Spain). The partners represent a balanced mixture of leading academic and industry institutions, combining different disciplines and perspectives from research and practice. Learn more about the individual PICOS partners via the menu on the left side.